Solar hot water these days come in many shapes, sizes and styles. From roof mounted tanks and collectors, to split systems where the collectors are mounted on the roof and the tanks are at ground level, there are options to suit almost every application and location. The process behind transferring the suns energy to the tank can vary depending on the manufacture of the heater and type of heater. There is not one that is typically better than the other, however there are types better suited to specific climates. How do Solar Collectors work? There are two main solar collectors currently in use. Standard solar panels work by having manifolded copper tubes running up and down the inside of the solar panel beneath a glass covered collector. The panels are connected to the storage tank, either on the roof or mounted at ground level. The solar panels collect the suns energy and heat the copper pipe and the water or glycol inside the copper pipes, which is then transferred to the storage tank and used to heat the stored water. Storage hot water heaters (also known as storage tanks, hot water tank, hot water cylinder) is a tank that is used for storing and heating hot water. The tanks are typically heavily insulated to minimise heat loss and energy consumption and can retain heat for days. Hot Water tanks may have built in gas burners, electric immersion elements, may use an external heat exchanger to heat water from another energy source prior to storing it in the tank or may even be coupled with a solar system. Storage tanks typically work on mains water pressure. They come in various types and styles from roof mounted to split systems to suit most applications. 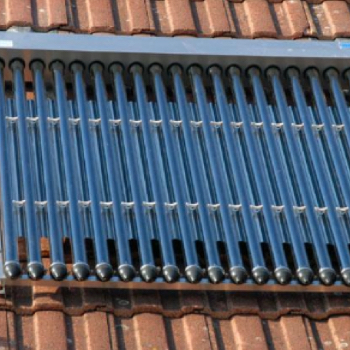 Solar hot water will work in most climate conditions, pending the right type is selected for example; Evacuated tube collectors work best in low temperature areas as opposed to standard solar panels. Costs to supply and install solar hot water heating can vary greatly depending on makes and models and client requirements. As a guide, solar hot water ranges from between $3,500 – $8,000. There are Government Incentives such as STC’s (Small-scale Technology Certificates) applicable to the installation of solar hot water heating, which can help offset costs and reduce the overall outlay required as well as state based local government incentives. If considering installing a Solar Hot Water heater, please contact Precise and we can assist in determining what rebates are available and applicable to your situation.